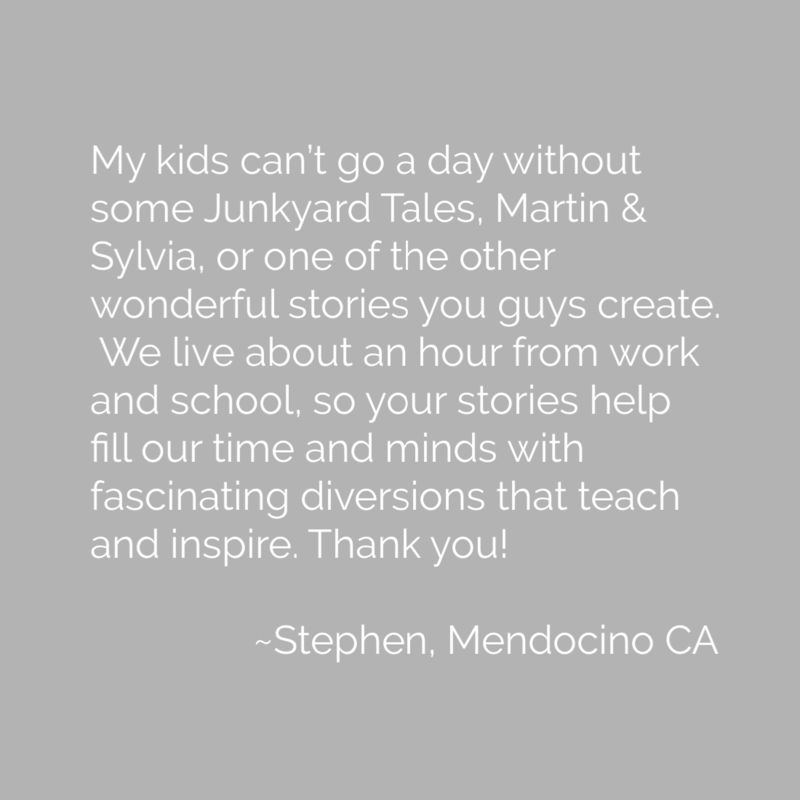 Our family currently subscribes to Sparkle Stories and my kids can’t go a day without some Junkyard Tales, Martin & Sylvia, or one of the other wonderful stories you guys create. We live about an hour from work and school, so your stories help fill our time and minds with fascinating diversions that teach and inspire. Thank you!